Today is Sunday, December 27. When you go to church, make sure you say a special hello to the pastors! We have a couple of different ones at our church, Pastor Dean, Pastor Aaron, Pastor Mat, Pastor Rich and Mrs. Marlene! If you want, you can even draw them a picture saying thank you for everything they do for our church! 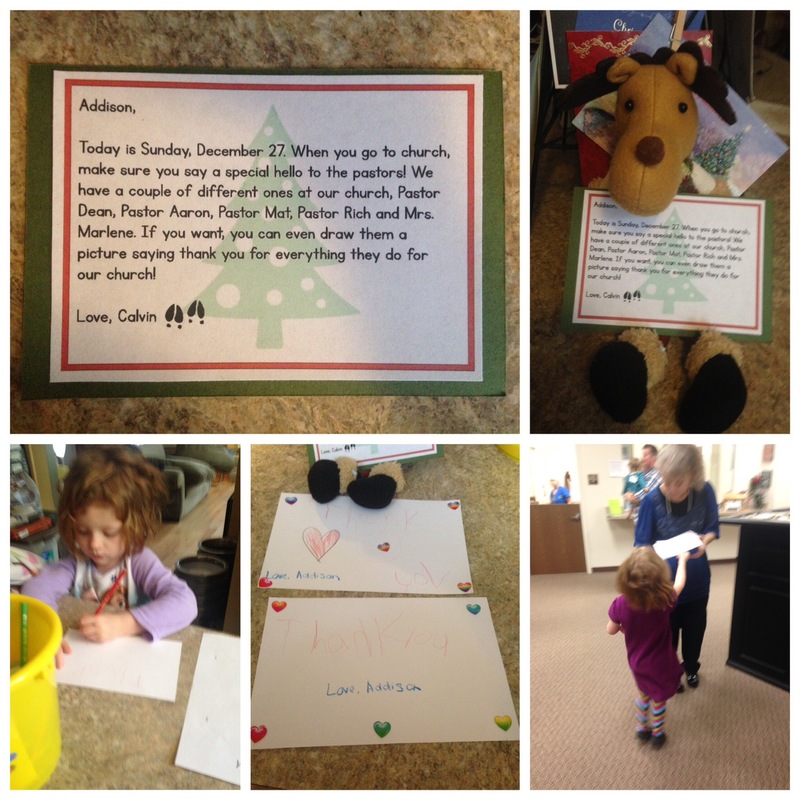 Addison wrote two notes and she chose Mrs. Marlene and Pastor Rich!